Size: 6.2 mL or 0.21 oz. 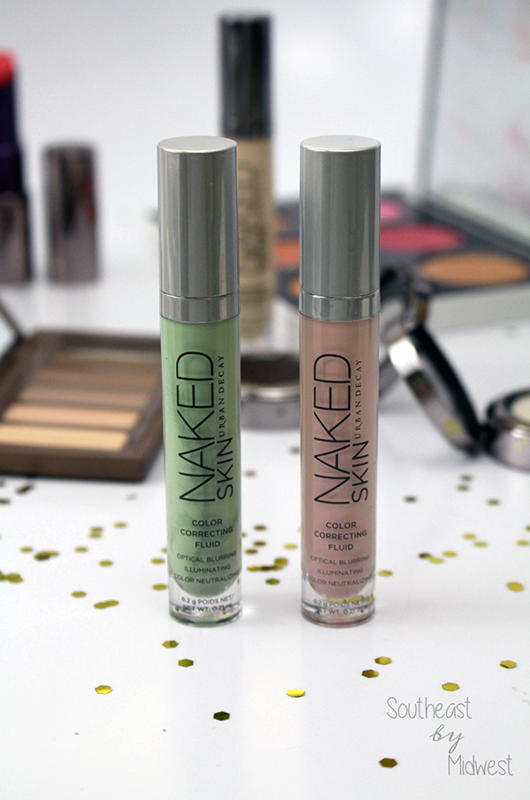 The Urban Decay Naked Skin Color Corrector is a light-weight color corrector that comes in a 0.21 oz. bottle with a doe-foot applicator. The applicator is the same applicator that the Naked Skin Concealer has and you can read my review of that here. The bottle is see through which makes it a little easier to see the color, these are the Green and the Pink. The Naked Skin Color Corrector retails for $29.00. Aqua / Water, Cyclopentasiloxane, C12-15 Alkyl Benzoate, Glycerin, PEG-10 Dimethicone, Methyl Methacrylate Crosspolymer, Butylene Glycol, Dimethicone, Dimethicone/PEG-10/15 Crosspolymer, Phenoxyethanol, Acrylates/Dimethicone Copolymer, Lecithin, Magnesium Sulfate, Nylon-12, Boron Nitride, Disodium Stearoyl Glutamate, Caprylyl Glycol, Lauroyl Lysine, Tocopheryl Acetate, Hexylene Glycol, Aluminum Hydroxide, Ascorbyl Glucoside, Dipropylene Glycol, Sodium Citrate, Steareth-20, Sodium Hyaluronate, Tocopherol, Chlorhexidine Digluconate, N-Hydroxysuccinimide, Potassium Sorbate, Palmitoyl Tripeptide-1, Chrysin, Palmitoyl Tetrapeptide-7. *Note that all shades MAY contain: CI 77891 / Titanium Dioxide, CI 77491, CI 77492, CI 77499 / Iron Oxides, CI 77288 / Chromium Oxide Greens, Mica, CI 77007 / Ultramarines]. 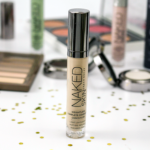 Before I tell you my thoughts on the Urban Decay Naked Skin Color Corrector I want to explain color correcting, explain the six shades that Urban Decay has, and how I personally use color correctors. Let’s start with what exactly color correcting is. Color correcting uses the color wheel to cancel out colors. There are two ways to think of this, either think of what is exactly across from a color on a color wheel, that color will cancel out the other. The other way is to think of what isn’t there, for example Green is made of Blue and Yellow therefore Red will cancel out Green. 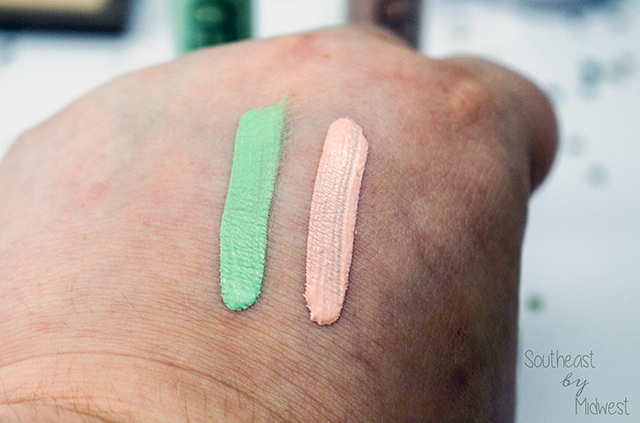 Urban Decay’s six shades of color correctors are based off of this so the Green will cancel any redness and will be useful for acne, rosacea, etc. ; the Lavender will cancel out any yellow (i.e. sallowness) and Yellow will reversely cancel out any purple like purple-hued dark circles; Pink will cancel blue and also brighten so this will cancel any blue-hued dark circles; lastly there are Peach and Deep Peach both of which cancel out blue like blue-hued dark circles but in deeper skin tones, the deep peach is a more intense version of the peach. Now let’s talk about how I color correct. In my opinion, color corrector is meant to fix any issues in the skin and to provide a more flawless base so I use it after my primer but before my foundation. I apply my foundation afterwards because some of the Naked Skin Color Correctors will leave a tint or cast on the skin and sometimes concealer won’t be enough to cover it and you’ll be left looking like Shrek (I’m looking at you Green Color Corrector!). 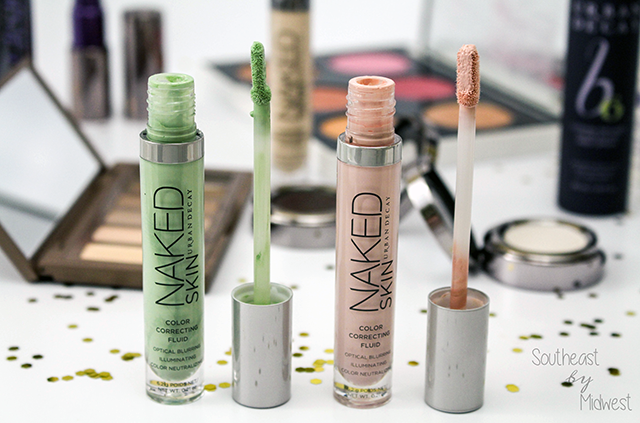 As you know from Friday, the Naked Skin Concealer wasn’t a favorite of mine. Not because it wasn’t great but because it was just to drying for my skin. Since the Naked Skin Color Correctors are based on the Naked Skin Concealer formula I was expecting to have the same feelings but I had the exact opposite. I find these color correctors to be not drying at ALL and they work so well that sometimes I will go in with the Pink to cover my dark circles and then come in with like a tinted moisturizer or a tinted primer like the Becca Backlight Primer and go about my day. I will say that if you purchase the green don’t go ham with it like you see in Instagram or YouTube videos or you WILL look like Shrek, basically a little goes a long way! Also the formula is PERFECT for color correcting. 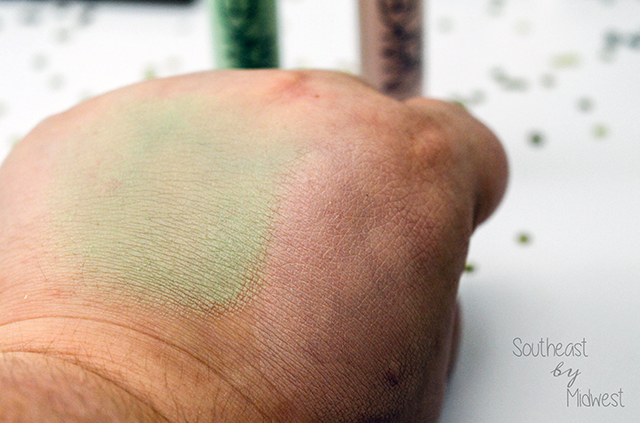 A lot of color correctors are creams or thicker liquids and can take a lot to work into the skin. The Naked Skin Color Corrector formula is light enough that you can blend with your fingers if you want but still thick enough that it’s actually going to correct the color. I highly recommend the Naked Skin Color Correctors to anyone and everyone! Make sure to sign-up for Ebates if you purchase online! The lightweight non-drying formula makes these very appealing. What shade do you recommend to correct dark spots? I’d probably try the peach or the pink. Peach is usually used for dark spots but it might be a bit to much for your skin tone. If you have a Sephora near you I’d actually suggest going and getting a sample of each to try out and see if you can use the peach or if you would need to go with the pink before committing to one. I am so surprised by your reactions since I, too, thought that you would feel the same as you did about the Naked Skin Concealer! I am really glad to hear that these aren’t at all drying! 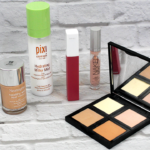 I’ve never tried a colour corrector before, and have no idea if it will work for my skintone – but based on your review, I think Peach or Deep Peach should be fine. LOL @ Shrek! Yes the pink would probably be a bit to light for your skin tone. If you have a Sephora near you I’d probably go and test out the Peach first as the deeper peach is a bit darker and might be a bit to dark for your skin. Thanks! Now you know that these are good and can recommend them to a friend if they ask. 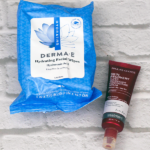 I have the green one for correcting my rosacea redness sometimes. I like the formula as well but never remember to use it – I use full coverage foundation so most days it’s an unnecessary step. Thorough review!!! I don’t use them all the time for the same reason but when I do remember I usually at least use the pink because my under eye circles will show under a lot of foundations! 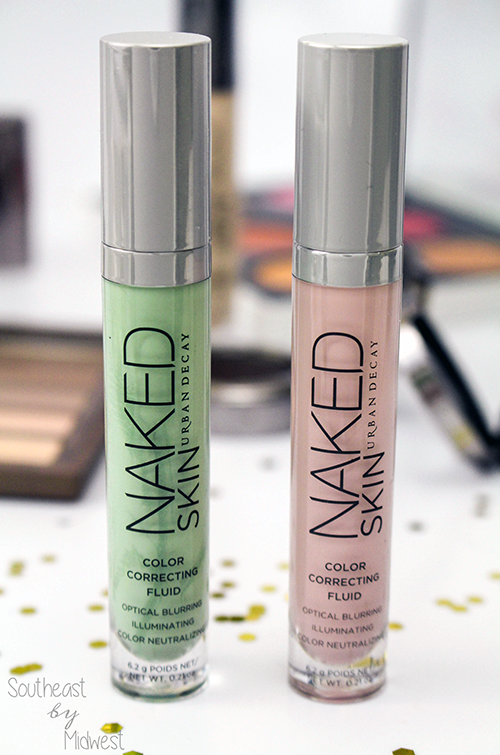 The green corrector is my absolute favorite. It really does cancel out redness, nothing I’ve tried before worked so well. It leaves me looking a little ghostly (not like the Hulk because I use such a small amount) so I need a foundation or at least a tinted moisturizer or powder on top. But it works incredibly well! I agree, if I’m using the green I for sure go in with at least a light coverage foundation because otherwise it looks unnatural and weird. I have several shades of correctors, either from UD or Sephora. I was using them so much when I first bought them and then let them slide. I guess I should play around with them again to rid myself of all these ugly imperfections!! I go through phases with them as well, they’re not something I use in my everyday routine but when I remember them I like to use them especially on my dark circles because I can start looking like someone punched me real fast! Luckily I don’t really need a color corrector until they make one for erasing wrinkles! Ha! I don’t think that’ll happen anytime soon with botox around.